The Newport International Polo Series 3rd annual All Charity Day will be on Sunday, July 15, 2018 as a fun afternoon for supporters of many 501-c-3 organizations, with exciting polo action to benefit local civic and charitable organizations. The 6-chukker match will begin at 5pm, featuring players from the Newport Polo Club competing. Entry gates will open at 4pm. Please bring your tickets to show upon entry. The event is open to the public and all are welcome to attend. Admission tickets will be available in advance from the participating organizations listed below (follow a link to support your favorite cause; new participants and links will be added regularly); 100% of their ticket sales proceeds are retained by the organizations to support their worthy missions, for the welfare of our community. PLEASE PRESENT YOUR TICKETS for admission at the entry gates. 2018 Season passes will be honored and walk-up ticket sales will be available for purchase at the entry gates starting at 4pm. The Twisted Pony Bar, Polo Pro Shop and Specialty Vendors will be open, for your convenience. For the status of the upcoming match, call the 24-hour info hotline (401) 846-0200 x2. Stay current with the 2018 team lineup, latest news, events and more through our e-Magazine (sign up), and our Game Day Scorecard (sign up). Both email subscriptions are private and spam free. Last year, the 2017 All Charity Day drew over 2,000 spectators, raising $22,000 for the 22 participating organizations. The beautiful, sunny July day included festive parties hosted by the organizations, fabulous raffle and silent auction prizes, and a victory for Newport Women over Newport Men after a high-scoring match. See the 2017 highlights Here . 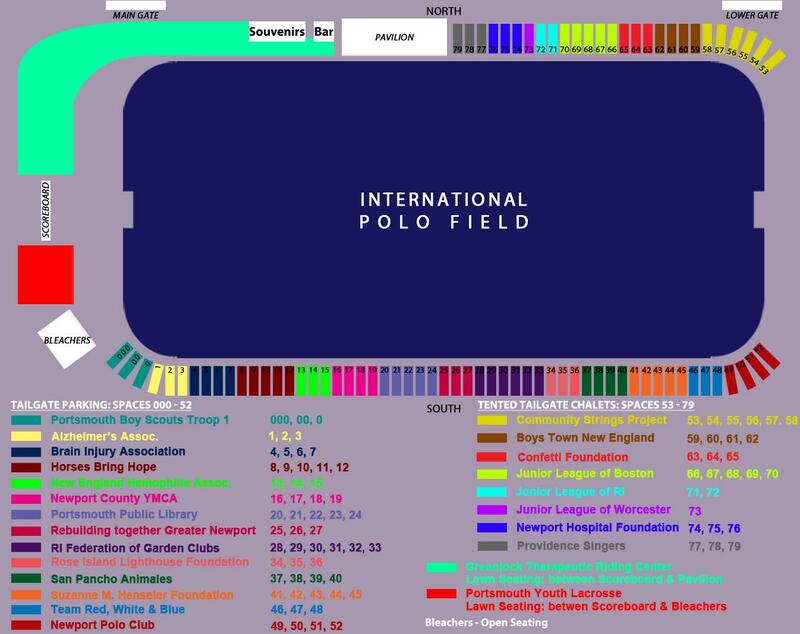 Organizations are invited to plan a day at polo for their supporters, hosted by Newport Polo at the International Polo Grounds. Opportunities to participate are open to qualified 501-3c organizations. Two benefit matches are scheduled for this purpose this year: May 26 and July 15. Download the guidelines to participate Here. For more information, please email agnes@nptpolo.com. 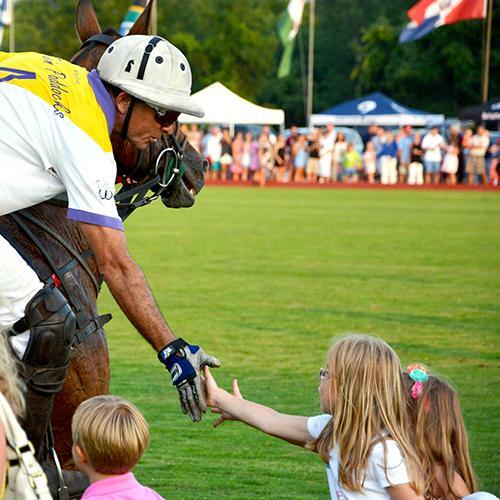 Through its 26 year history, Newport Polo has raised over $1,366,880 for civic and charitable organizations. Initiatives include the International Polo Charity Ball, special benefit matches, and countless ticket donations for the Newport International Polo Series. 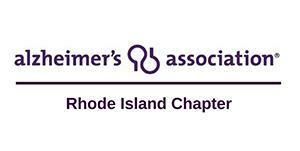 The Rhode Island Chapter provides education, personal support and advocacy around key issues of concern to those persons in RI affected by Alzheimer's disease and related disorders. Our mission: To eliminate Alzheimer's disease through the advancement of research; to provide and enhance care and support for all affected; and to reduce the risk of dementia through the promotion of brain health. The Community String Project (CSP), a 501(c)(3) non-profit organization, began in July of 2009 with the goal of serving all youth in the East Bay area, regardless of income, through an innovative, school-based music program centered on string instruments. In addition to the value of learning how to play an instrument (which has been shown to increase academic performance), students also benefit from being involved in a supportive activity that assists with dropout prevention, fosters community engagement, and increases self-esteem. CSP provides after-school lessons to elementary students (grades 3-5), a Youth Orchestra Program for middle school and high school students, and evening beginner, intermediate and advanced ensemble lessons for adults. Instruction is provided free of charge for students (up to grade 12) who participate in the free/reduced lunch program. Throughout our history, from 35-42% of youth served have met the criteria for subsidized instruction. CSP anticipates adding 10-12 students annually and is committed to including youth from all economic levels. Learn more about Community String Project here. The Confetti Foundation is a 501(c)(3)non profit organization that supplies birthday parties to hospitalized children. The foundation was started with the hope that families will be able to shift their focus from their child’s sickness for just 30 minutes and celebrate. Although the party is not a cure, it will be a welcome distraction and a good reminder that every child deserves to be celebrated. This organization is based in Rhode Island but as of April 1,2018 is partnered with 163 hospitals in 45 states country wide and celebrated 3,805 birthdays. Learn more about The Confetti Foundation here. Founded in 1989, Greenlock Therapeutic Riding Center, Inc. is a non-profit 501 C (3) organization that utilizes equine-related activities for the therapy of individuals with physical, developmental, and emotional differences. Uniquely, horses are our treatment partners. Greenlock is a PATH Intl. (Professional Association of Therapeutic Horsemanship International) Premier Accredited Center. We provide Hippotherapy and Therapeutic Riding services to children and adults, as young as two years old, in RI and southeastern MA. We charge substantially less than other programs in the northeastern United States, and serve approximately 200 clients per week. Fundraising and donations subsidize our program fees. Learn more about Greenlock Therapeutic Riding Center here. The Junior League of Worcester is an organization of women committed to promoting voluntarism, developing the potential of women, and improving communities through the effective action and leadership of trained volunteers. Its purpose is exclusively educational and charitable. The women of the Junior League of Worcester will work through involvement with our community to improve and enrich the quality of life of women and children. Learn more about The Junior League of Worcester here. In 2008, the Newport County YMCA, a 501c3 charitable organization, started a Special Olympics Team with a single athlete and now serves the needs of over one hundred special needs children and adults athletes. The Y also offers Adapted Physical Activity programs that are designed to give disabled children and adults the opportunity to participate in a variety of recreational and therapeutic activities. The Y provides an environment that fosters individual growth and is changing the lives our athletes. All programs are centered around the Y’s core values of youth development, healthy living, and social responsibility, while focusing on developing both physical and social skills that lasts a lifetime. These programs only exist through the generous support of our local community. Purchase admission tickets to support Newport County YMCA Special Olympics Team & Adapted Physical Activity here. Learn more about Newport Hospital here. In 1897, Rev. Pearce of Portsmouth proposed the establishment of a public library called the Portsmouth Free Public Library Association. A member of the building committee, John L. Borden, donated land at the corner of Freeborn Street and East Main Road for the Library building which still exists although much has changed over the years with additions to increase the size of the building to approximately 9,515 square feet serving Portsmouth. As a non-profit organization, the mission of Portsmouth Free Public Library is to serve as an essential resource that grows with our community, enhances the quality of life of our users, supports lifelong learning, and offers access to information in a variety of ways. There are approximately 70,000 items and 25 public computers. The Library conducts about 300 programs per year for all age groups and interests. 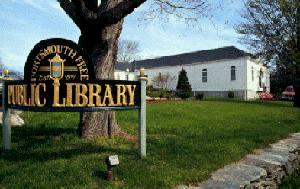 Purchase tickets to support the Portsmouth Public Library at the front desk, 2658 East Main Road in Portsmouth, RI. The Providence Singers, Christine Noel artistic director, is a choral arts organization serving the Rhode Island region. Its 90-voice auditioned chorus presents an annual concert series and appears regularly with the Rhode Island Philharmonic Orchestra. The chorus has performed with FirstWorks Providence, Boston Modern Orchestra Project, New Haven Symphony, New Bedford Symphony, and performed with Dave Brubeck at the 50th Anniversary Newport Jazz Festival. The Providence Singers regularly commissions new choral music with the support of its Wachner Fund for New Music. Education and scholarship programs support the development of the next generation of singers, and studio recordings help preserve and advance the choral art. The Singers' newest recording, its fourth featuring American composers, was released in November, 2017. Learn more about the Providence Singers here. Rebuilding Together Greater Newport is an affiliate of the nation’s largest volunteer organization preserving and revitalizing low-income houses and communities. Our mission is a Safe and Healthy Home for Every Low Income Homeowner. Using donated labor, supplies, and building materials, we perform critical and strategic home repairs free of charge to those who can not afford the expense and are physically unable to do the work. We focus on safety and emergency repairs, home modifications for aging-in-place, veteran’s projects, and energy efficiency. We encourage homeowners and their families to work alongside us so that everyone shares an investment in community pride, safety, and well being. Learn more about Rebuilding Together Greater Newport here. 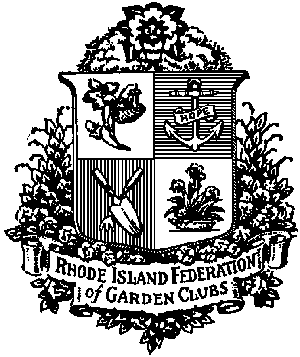 Learn more about the Rhode Island Federation of Garden Clubs here. The Rose Island Foundation is a 501(c) (3) tax-exempt organization whose mission is to maintain and operate the Rose Island Lighthouse as a living maritime museum, to restore and preserve the historic and unique Fort Hamilton military barracks, and to safeguard the environmental integrity of the wildlife refuge on Rose Island. Rose Island Lighthouse Foundation supports this important mission by providing memberships and accepting tax-exempt contributions from conservation and preservation minded individuals, families, groups, foundations, and businesses. RILF makes Rose Island accessible to the public through its ongoing educational and environmental programs for schools and youth groups, onsite fundraising events, tours, and overnight accommodations in the Lighthouse, the Foghorn Building and the Fort Hamilton Barracks. Purchase tickets in support of Rose Island Lighthouse Foundation here. The Suzanne M. Henseler Foundation's mission is to provide unique educational opportunities linking Rhode Island students and military veterans, to provide academic scholarships to RI students and awards to outstanding teachers, and ultimately to improve the quality of education in schools across Rhode Island. Purchase admission tickets to support Susanne M. Henseler Foundation here. Team Red, White, and Blue is a national non-profit whose mission is to connect our local veterans to their community. We accomplish this through hosting physical, social and community service events. These include weekly run groups, yoga, crossfit, movie nights and helping out our community partners. Team RWB, while it focuses on veterans, is open to everyone regardless if you have served or not! Purchase admission tickets to support Team Red, White, and Blue here. The New England Hemophilia Association is dedicated to empowering individuals and families in CT, MA, RI, NH, and VT with a bleeding disorder. In addition, the New England Hemophilia Association will be selling raffle tickets at All Charity Day. $5 per ticket or $10 for three tickets. The drawing will be held on September 10, 2018 during the New England Hemophilia Association 2018 Golf Tournament. Need not be present to win. Learn more about the New England Hemophilia Association here. Horses Bring Hope is a 501c3 non-profit organization located in beautiful Wakefield, Rhode Island. We specialize in therapeutic and traditional riding. Currently, our program is made up of 16 unique horses, each possessing their own personalities, abilities, and strengths so that every rider is matched with a compatible equine partner. We are a volunteer based organization with a consistently growing number of dedicated volunteers that make our program possible. We offer services in therapeutic riding, traditional riding, and summer camp. Through the powerful healing connection between horses and humans, HBH aims to educate and enrich the lives and spirits of individuals of all abilities. Utilizing and inclusive model, HBH strives to improve and rehabilitate the emotional and physical well-being of both humans and equines in a safe, caring, and professional environment. Learn more about Horses Bring Hope here. The Brain Injury Association of Rhode Island (BIARI) is celebrating 35 years of service to our community. BIARI has been improving the quality of life for survivors of braininjury, their families, and caregivers. Families of persons with a brain injury created this nonprofit to provide desperately needed resources, information, and access to services. Today, we are the only statewide organization solely dedicated to increasing awareness of brain injury and its consequences, and providing support, guidance, and education for those who are suddenly faced with both the immediate and potentially long-term effects of brain injury. In the blink of an eye, everything can change when someone suffers a brain injury. To purchase tickets and support us email robyn@biari.org. To learn more about the Brain Injury Association of Rhode Island, visit their website. our mission, we serve more than 1,100 children and 500 families every year. To purchase tickets click here, or contact Amanda Baker at Amanda.Baker@boystown.org. Learn more about Boys Town New England here. San Pancho animales has as its mission to eliminate animal suffering in the Pueblo of San Pancho Mexico. We want to provide education and shape an environment of care and compassion towards animals. SAN PANCHO ANIMALES comprises a group of volunteers dedicated to providing free spay/neuter services to the animals in the community of SanFrancisco, (San Pancho) Nayarit, Mexico. We are a non-profit 501 (c) (3) organization. Volunteers and a staff of Mexican veterinarians host at least one clinic each year, sometimes two if adequate funds are available. We also provide when needed, emergency services, which include but are not limited to, spaying and neutering between clinics, assisting owners with acute care due to injury or illness and assistance with food in dire situations. Providing foster care when needed and encouraging positive relationships with owners and their companion animals. We provide adoption services for Dogs and cats and occasional donkeys, chickens, horses, or cows. We assist with animals that are adopted and will be traveling out of the country. To learn more, visit their website. To purchase tickets, email kpasta186@gmail.com.